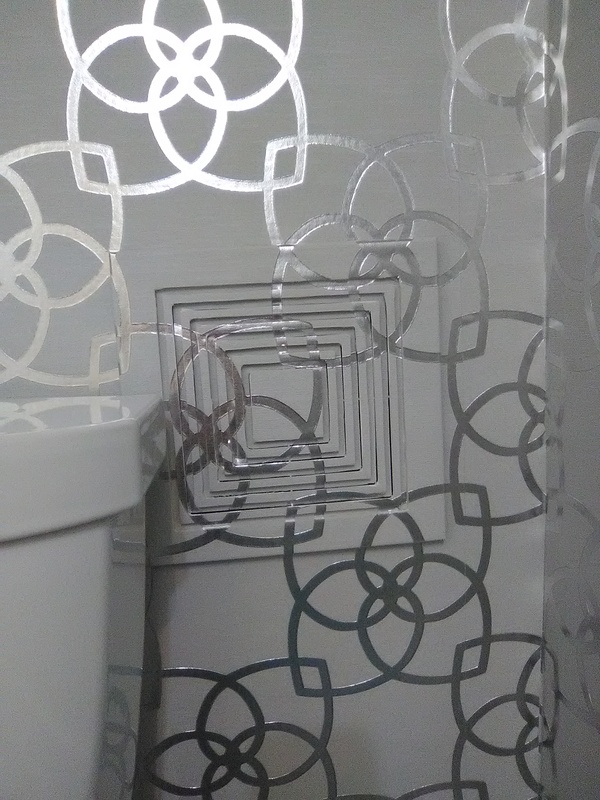 I like to remove switch plates, towel bars, and light fixtures before papering, so the new wallpaper can go behind them, for a neat, uniform look and no edges to peel up. 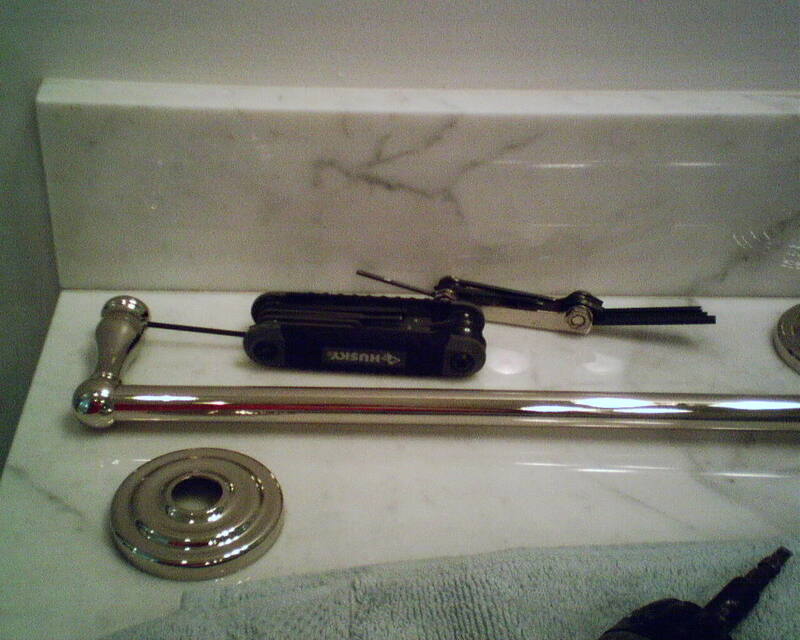 Many bathroom accessories come off with aid of an allen wrench. In the top photo, my usual allen wrench set is in the back. But it would not turn the nut inside the towel bar – it did not fit. Good thing I also carry around a set of metric allen wrenches. That is the larger one in the picture, and it did the trick. 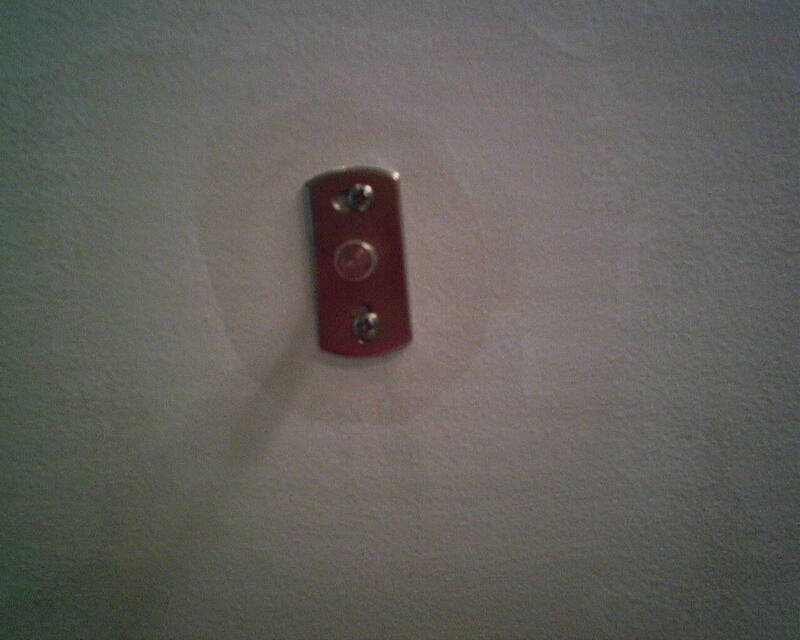 In the second photo, you see the mounting hardware that is still on the wall. I will use my screwdriver to remove that, so that the new wallpaper will cover the entire wall surface. Then just a few holes for the screws to hold the bracket in place, and there will be very little damage to the appearance of the paper. 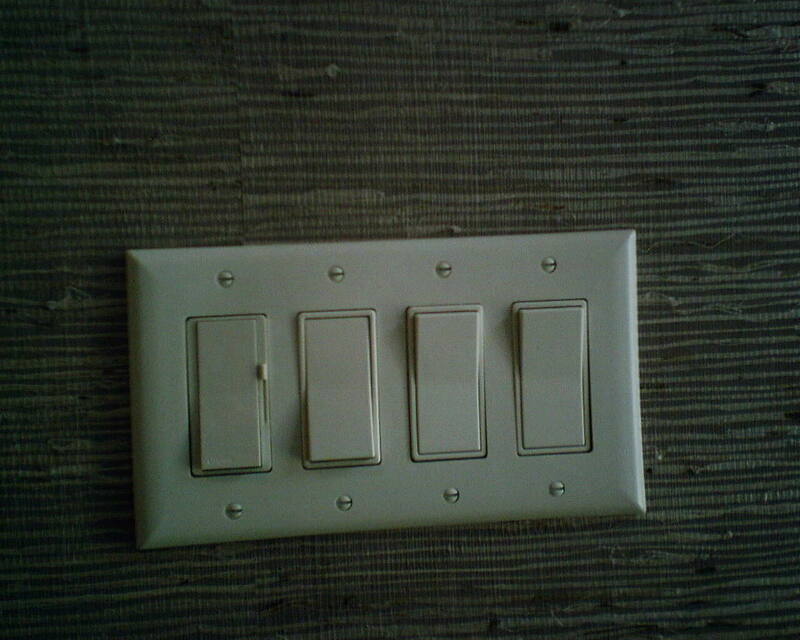 This will be helpful in case the homeowners decide to change or move accessories later.